Practio is a company that designs digital healthcare solutions with a focus on creating better and easier access to healthcare services in the everyday, while contributing to making the national healthcare sector more efficient. During my time as a digital designer at Practio I’ve been part of a team of developers, designers, Doctors etc, that worked on an ambitious project to improve women’s experiences and safety around birth control pills. The services we have created are mainly focused around two products. 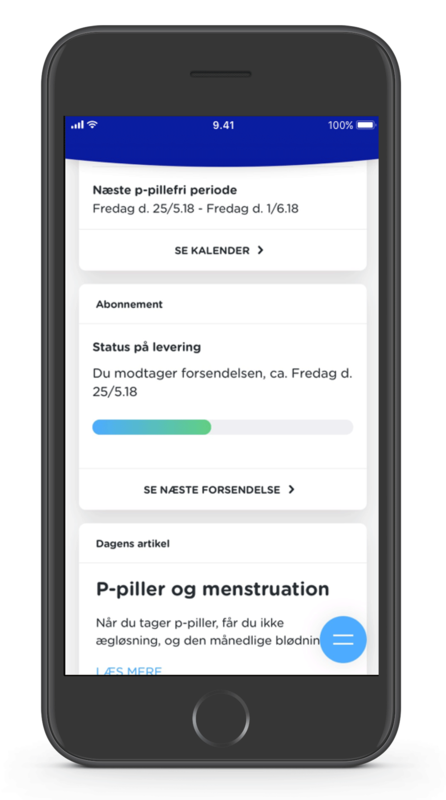 First the Practio birth control app, that helps women to keep track of their pills, access trustworthy information, and plan ahead with an intelligence calendar. And second, a delivering -and online subscriptions service for birth control pills that are realised through innovative collaboration with pharmacies and the Practio platform. The Practio App is build up around four main functionalities and screen; Overview, Subscription, Calendar, and Guidance. The app is both available on App Store and Google Play. My roles around the app include helping conceptualize and make wireframes on some of the earlier iterations, design content for the app, and testing. 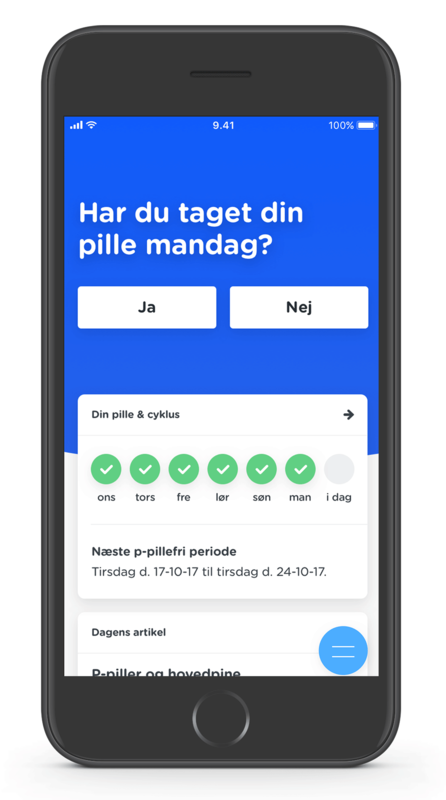 The main job of the app is to remind the user to take her birth control pills, and let her know if she is protected or not. 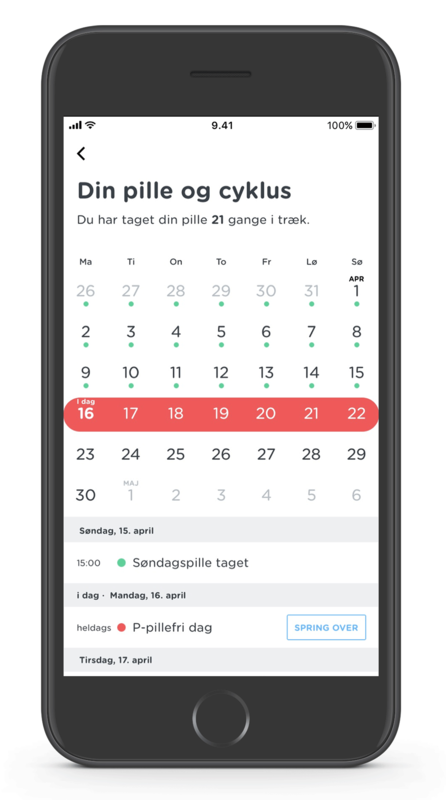 The app provides an overview of the last week’s pill-intake, and a timestamp for the next pill-free period. 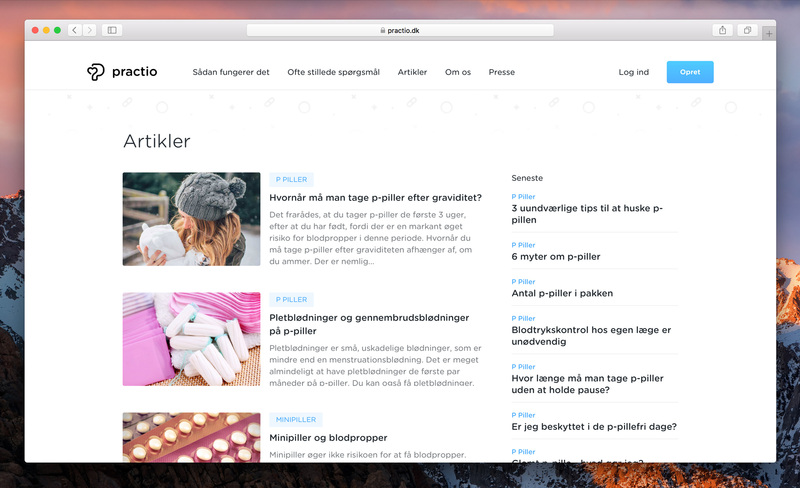 Practio also offers a subscription service to deliver pills by mail. This section is dedicated to app-users who also have the subscription. From there they can monitor the next shipment, and access the same features as the web-app offers. a management tool. The calendar can be connected to other calendars, and it’s also possible to skip or add a pause, and get guidance on how to take the pills accordingly. The app holds an education section, with small articles and videos to guide the user on different subjects regarding their period, pregnancy, their body, etc. 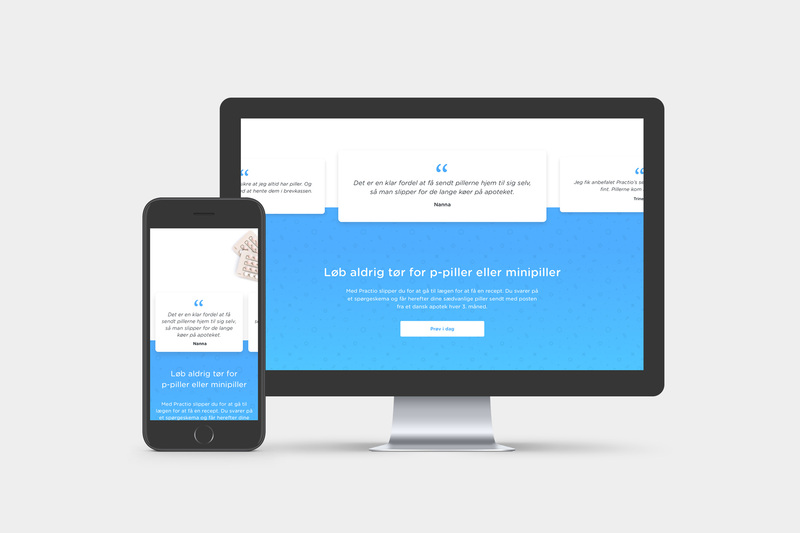 The subscription service is build up around an online platform that bridges the user, the pharmacy and Practio together. While this platform works as homepage for Practio, this is also were the on boarding, overview and management of the service is maintained. The sign-up includes an online consultation facilitated by one of Practio’s Doctors. 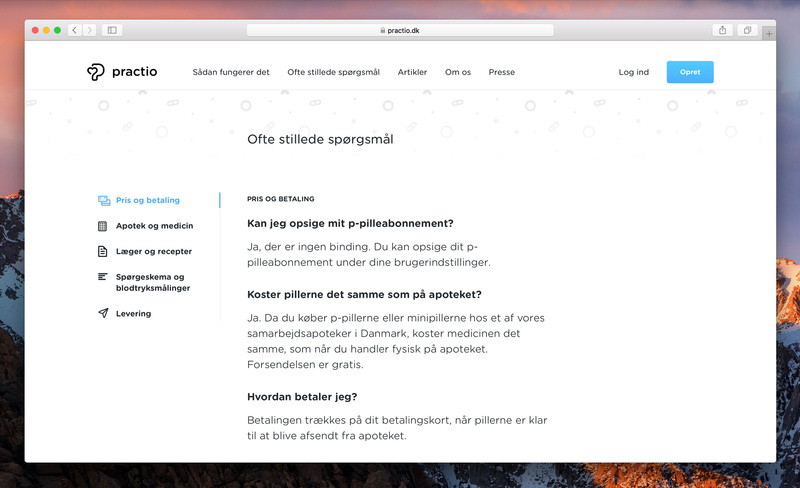 From here the doctor is able to renew subscriptions online, and the pills are send the users address from the pharmacy. My tasks around the subscription service has included designing the responsive platform of Practio from wireframes to final iterations, designing parts of the on boarding flow, conduct user tests and interviews, design for virtual as well as physical touch points in the service, develop a sustainable design system, and design marketing content. 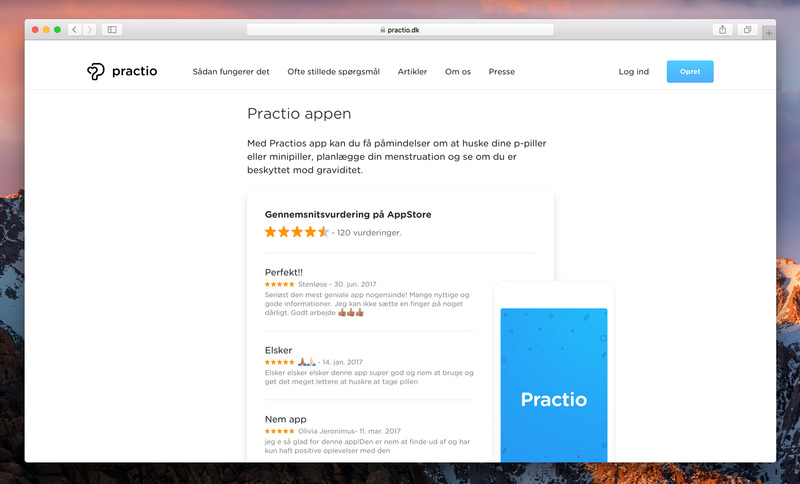 The following screens show some of the final pages that I designed for the Practio platform, including an article library, presentation of the app, the front page.